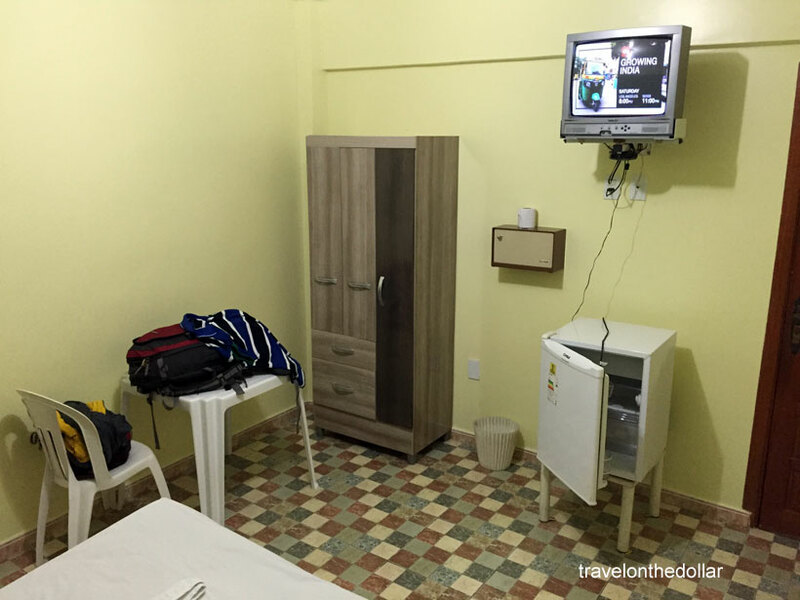 Located in the center of Manaus, just walking distance from the Teatro Amazonas, you can walk up to the local markets, center of the city and other hostels from this hotel. After arriving at the hotel, I was given room 304, which is a one double bed room with air-conditioning, fridge and a private bathroom. The AC in the room was located in a corner and after turning it on for 2 hours, there was barely any cooling in the room. 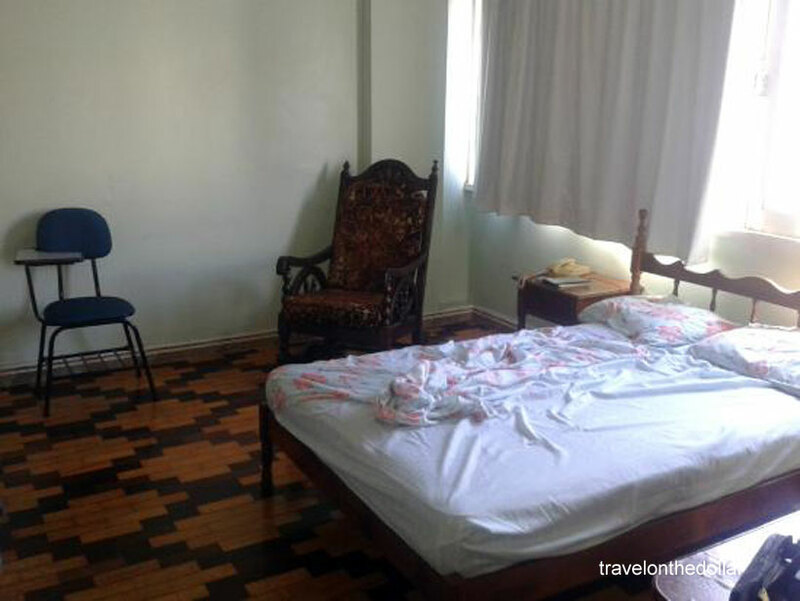 Although this room faced the main road and had huge windows, considering the hot and humid weather of Manaus, one would need air conditioning! 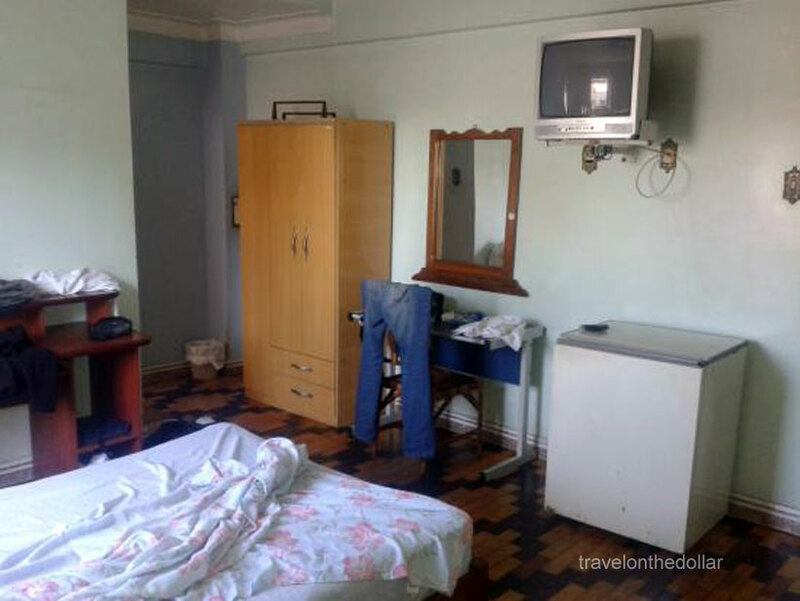 At the cost of R$106 (approx $27) a night, this was a huge room for one person. A quick request to the staff about changing the room, I was given room 403 with a note that the AC worked excellent in that room. The only good thing that separated out from room 304 was the AC faced the bed. But that doesn’t mean it cooled the room! This room had a tiny window with no view and also a private bathroom. Another request to have something that actually cooled a room, I was told that these were the coolest rooms available. The people at the reception were very friendly and helpful, and I’m sure they were doing their best to accommodate all the room-change requests I had, but hotel industry services are considered best when they keep their customers happy! 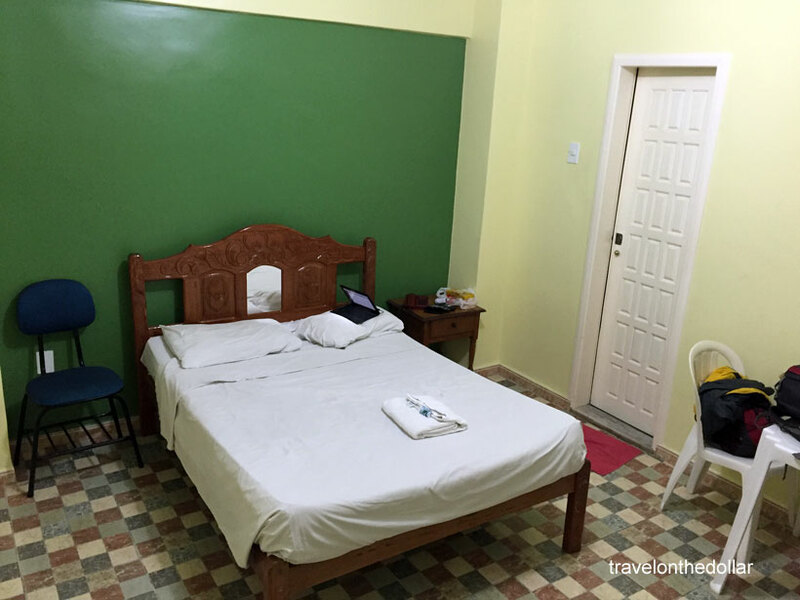 There are other great hostels around Manaus that one may want to consider, which are not just cheaper, but come with great hospitality and rooms. Sombra palace hotel can be at the bottom of your list for selecting affordable hotels in Manaus.